NatGeo Wild is encrypted again after being temporarily unencrypted on 4134.00MHz, pol.R SR:30000 FEC:3/4 SID:2014 PID:1402[MPEG-4]/1403 English (Conax). NatGeo Wild (United Kingdom) momenteel ongecodeerd (FTA) te ontvangen (4134.00MHz, pol.R SR:30000 FEC:3/4 SID:2014 PID:1402[MPEG-4]/1403 English). NatGeo Wild is nu gecodeerd in Conax (4134.00MHz, pol.R SR:30000 FEC:3/4 SID:2014 PID:1402[MPEG-4]/1403 English). Viasat: NatGeo Wild (United Kingdom) momenteel ongecodeerd (FTA) te ontvangen (12034.00MHz, pol.H SR:27500 FEC:5/6 SID:3150 PID:3151/3152 English,3153 English). Sky Digital: Nieuwe frequentie voor NatGeo Wild: 11836.00MHz, pol.H (DVB-S SR:27500 FEC:5/6 SID:5555 PID:519/657 English- VideoGuard). Viasat: NatGeo Wild is back on 12034.00MHz, pol.H SR:27500 FEC:5/6 SID:3150 after a break ( PID:3151/3152 English,3153 English - VideoGuard). Antik Sat: NatGeo Wild (United Kingdom) momenteel ongecodeerd (FTA) te ontvangen (11595.25MHz, pol.V SR:30000 FEC:5/6 SID:920 PID:2601[MPEG-4]/2602 English,2603 ces). Antik Sat: NatGeo Wild is encrypted again after being temporarily unencrypted on 11595.25MHz, pol.V SR:30000 FEC:5/6 SID:920 PID:2601[MPEG-4]/2602 English,2603 ces (Conax). Direct2Home: NatGeo Wild in DVB-S2 op 11554.00MHz, pol.V SR:30000 FEC:5/6 SID:1839 PID:4901[MPEG-4]/4902 English (Conax). A1 Bulgaria: NatGeo Wild (United Kingdom) is in DVB-S2 van start gegaan op 11595.25MHz, pol.V SR:30000 FEC:5/6 SID:916 PID:2601[MPEG-4]/2602 English,2604 Bulgarian - Conax. Kabelkiosk & Sky Deutschland: NatGeo Wild is back on 11758.50MHz, pol.H SR:27500 FEC:9/10 SID:12 after a break ( PID:2303[MPEG-4]/2304 German,2305 English - VideoGuard). DMC: NatGeo Wild is nu gecodeerd in Cryptoworks & Irdeto 2 (11150.00MHz, pol.V SR:19275 FEC:3/4 SID:1002 PID:3201/3210 English,3212 Dutch,3218 Czech,3220 Hungarian,3221 Turkish,3226 Russian,3232 Hebrew,3239 Bulgarian). DMC: NatGeo Wild (United Kingdom) momenteel ongecodeerd (FTA) te ontvangen (11150.00MHz, pol.V SR:19275 FEC:3/4 SID:1002 PID:3201/3210 English,3212 Dutch,3218 Czech,3220 Hungarian,3221 Turkish,3226 Russian,3232 Hebrew,3239 Bulgarian). NatGeo Wild switched to DVB-S2 at 12188.00MHz, pol.V SR:27500 FEC:3/4 PID:339/340 Polish,343 English. Digitürk: Nieuwe SID voor NatGeo Wild op 11727.00MHz, pol.V: SID:15502 ( SR:27000 FEC:5/6 PID:4452/4552 Turkish,4652 original audio - Irdeto 2). Dolce TV: NatGeo Wild in DVB-S op 12524.00MHz, pol.V SR:30000 FEC:7/8 SID:265 PID:365/465 English (VideoGuard). Sky Digital: Nieuwe FEC voor NatGeo Wild op 12188.00MHz, pol.H: FEC:5/6 ( SR:27500 SID:4807 PID:522/650 English - VideoGuard). NatGeo Wild (United Kingdom) is in DVB-S2 van start gegaan op 11076.00MHz, pol.H SR:45000 FEC:3/4 SID:1002 PID:3201/3210 English,3212 Dutch,3218 Czech,3220 Hungarian,3221 Turkish,3226 Russian,3232 Hebrew,3239 Bulgarian - Cryptoworks & Irdeto 2. NatGeo Wild (United Kingdom) is in DVB-S2 van start gegaan op 12266.00MHz, pol.H SR:27500 FEC:5/6 SID:2020 PID:2021[MPEG-4]/2022 English,2023 Russian - BulCrypt & Panaccess. Bulsatcom & Polaris Media: NatGeo Wild is nu gecodeerd in BulCrypt (12565.00MHz, pol.H SR:30000 FEC:7/8 SID:116 PID:620/621 Bulgarian,623 English). Bulsatcom & Polaris Media: NatGeo Wild (United Kingdom) momenteel ongecodeerd (FTA) te ontvangen (12565.00MHz, pol.H SR:30000 FEC:7/8 SID:116 PID:620/621 Bulgarian,623 English). Nieuwe SID voor NatGeo Wild op 11637.00MHz, pol.H: SID:1933 ( SR:30000 FEC:5/6 PID:2101[MPEG-4]/4302 Bulgarian - Conax). Nieuwe SID voor NatGeo Wild op 11637.00MHz, pol.H: SID:1911 ( SR:30000 FEC:5/6 PID:2101[MPEG-4]/2102 English,4302 Bulgarian - Conax). Digitürk: Nieuwe frequentie voor NatGeo Wild: 11729.00MHz, pol.V (DVB-S SR:15555 FEC:5/6 SID:5002 PID:2159/2288 Turkish,2388 original audio- Irdeto 2). NatGeo Wild (United Kingdom) is in DVB-S2 van start gegaan op 12607.00MHz, pol.V SR:26660 FEC:3/4 SID:3029 PID:2902[MPEG-4]/2903 aac Czech,2904 aac English - Nagravision 3. ADD: Nieuwe FEC voor NatGeo Wild op 12034.00MHz, pol.H: FEC:5/6 ( SR:27500 SID:712 PID:518/710 Arabic - BetaCrypt & Irdeto 2). Digit Alb: NatGeo Wild in DVB-S2 op 10886.75MHz, pol.H SR:30000 FEC:3/5 SID:1022 PID:210[MPEG-4]/211 English (Conax). Cosmote: Nieuwe frequentie voor NatGeo Wild: 12149.00MHz, pol.V (DVB-S2 SR:27500 FEC:2/3 SID:1050 PID:450[MPEG-4] /550 English- VideoGuard). Meo & Nos: Nieuwe frequentie voor NatGeo Wild: 12207.00MHz, pol.H (DVB-S2 SR:27500 FEC:3/4 SID:1301 PID:5921[MPEG-4]/5922 English- Mediaguard 3 & Nagravision 3). Sky Digital: Nieuwe frequentie voor NatGeo Wild: 12188.00MHz, pol.H (DVB-S SR:27500 FEC:2/3 SID:4807 PID:522/650 English- VideoGuard). NatGeo Wild in DVB-S2 op 11637.00MHz, pol.H SR:30000 FEC:5/6 SID:1911 PID:2101[MPEG-4]/2102 English (Conax). NatGeo Wild switched to DVB-S2 at 11938.00MHz, pol.H SR:27500 FEC:3/4 PID:514/670 English. Meo: Nieuwe frequentie voor NatGeo Wild: 12012.00MHz, pol.H (DVB-S2 SR:30000 FEC:3/4 SID:111 PID:4177[MPEG-4]/4178 English- Mediaguard 3 & Nagravision 3). Cyfrowy Polsat & NC+: NatGeo Wild is nu gecodeerd in Mediaguard 3 & Nagravision 3 (12188.00MHz, pol.V SR:27500 FEC:5/6 SID:7307 PID:339/340 Polish,343 English). DMC: NatGeo Wild is nu gecodeerd in Cryptoworks & Irdeto 2 (11150.00MHz, pol.V SR:19275 FEC:3/4 SID:1002 PID:3201/3210 English,3212 Dutch,3218 Czech,3219 Polish,3220 Hungarian,3221 Turkish,3226 Russian,3232 Hebrew,3239 Bulgarian). DMC: NatGeo Wild (United Kingdom) momenteel ongecodeerd (FTA) te ontvangen (11150.00MHz, pol.V SR:19275 FEC:3/4 SID:1002 PID:3201/3210 English,3212 Dutch,3218 Czech,3219 Polish,3220 Hungarian,3221 Turkish,3226 Russian,3232 Hebrew,3239 Bulgarian). Nos: Nieuwe frequentie voor NatGeo Wild: 12418.00MHz, pol.V (DVB-S SR:27500 FEC:5/6 SID:622 PID:6784/6785 English- Nagravision 3). Meo: Nieuwe frequentie voor NatGeo Wild: 12130.00MHz, pol.H (DVB-S2 SR:27500 FEC:3/4 SID:111 PID:4177[MPEG-4]/4178 English- Mediaguard 3 & Nagravision 3). Digitürk: NatGeo Wild (United Kingdom) is in DVB-S van start gegaan op 11675.00MHz, pol.V SR:24444 FEC:3/4 SID:5002 PID:3502/3604 Turkish,3605 original audio - Cryptoworks & Irdeto 2. Multichoice Africa: PID zijn veranderd voor NatGeo Wild op 11785.00MHz, pol.H: PID:337/339 English SID:4004 ( SR:27500 FEC:3/4 - Irdeto 2). Multichoice Africa: PID zijn veranderd voor NatGeo Wild op 11785.00MHz, pol.H: PID:337/339 Portuguese SID:4015 ( SR:27500 FEC:3/4 - Irdeto 2). Multichoice Africa: NatGeo Wild (United Kingdom) is in DVB-S van start gegaan op 11785.00MHz, pol.H SR:27500 FEC:3/4 SID:4015 PID:385/387 Portuguese - Irdeto 2. Multichoice Africa: NatGeo Wild is nu gecodeerd in Irdeto 2 (11785.00MHz, pol.H SR:27500 FEC:3/4 SID:4004 PID:385/387 English). Multichoice Africa: NatGeo Wild (United Kingdom) momenteel ongecodeerd (FTA) te ontvangen (11785.00MHz, pol.H SR:27500 FEC:3/4 SID:4004 PID:385/387 English). Viasat: NatGeo Wild is nu gecodeerd in VideoGuard (11881.00MHz, pol.H SR:27500 FEC:3/4 SID:5080 PID:5081/5082 English). Viasat: NatGeo Wild (United Kingdom) momenteel ongecodeerd (FTA) te ontvangen (11881.00MHz, pol.H SR:27500 FEC:3/4 SID:5080 PID:5081/5082 English). Orange Polska: NatGeo Wild in DVB-S2 op 10911.00MHz, pol.V SR:27500 FEC:3/4 SID:15909 PID:509[MPEG-4]/709 Polish (Viaccess 3.0). Nova: Nieuwe SR voor NatGeo Wild op 11938.00MHz, pol.H: SR:29900 ( FEC:3/4 SID:7123 PID:514/670 English - Irdeto 2). Sky Digital: Nieuwe frequentie voor NatGeo Wild: 11603.85MHz, pol.V (DVB-S SR:27500 FEC:2/3 SID:4807 PID:522/650 English- VideoGuard). ADD: Nieuwe frequentie voor NatGeo Wild: 12034.00MHz, pol.H (DVB-S SR:27500 FEC:3/4 SID:712 PID:518/710 Arabic- Irdeto 2 & Viaccess 4.0). Digitürk: PID zijn veranderd voor NatGeo Wild op 11617.00MHz, pol.V: PID:2184/3186 Turkish,3187 original audio SID:7309 ( SR:30000 FEC:3/4 - Cryptoworks & Irdeto 2). Max TV: Nieuwe FEC voor NatGeo Wild op 11512.25MHz, pol.H: FEC:5/6 ( SR:30000 SID:31 PID:2822[MPEG-4]/2566 English - Nagravision 3). Max TV: Nieuwe FEC voor NatGeo Wild op 11512.25MHz, pol.H: FEC:3/4 ( SR:30000 SID:31 PID:2822[MPEG-4]/2566 English - Nagravision 3). Sky Italia: Nieuwe FEC voor NatGeo Wild op 11977.00MHz, pol.H: FEC:5/6 ( SR:29900 SID:8126 PID:2476/2477 Italian,2478 English - VideoGuard). Canal Digitaal & CS Link & -115-SkyLink & TV Vlaanderen: Nieuwe frequentie voor NatGeo Wild: 11895.00MHz, pol.V (DVB-S SR:27500 FEC:5/6 SID:5072 PID:4012/4022 Czech,4032 English- Cryptoworks & Irdeto 2 & Mediaguard 2 & Mediaguard 3 & Viaccess 4.0). Digit Alb: Nieuwe frequentie voor NatGeo Wild: 10887.00MHz, pol.H (DVB-S2 SR:30000 FEC:3/5 SID:1022 PID:210[MPEG-4]/211 English- Conax). Digit Alb: Nieuwe SR voor NatGeo Wild op 11055.50MHz, pol.V: SR:30000 ( FEC:3/5 SID:1022 PID:210[MPEG-4]/211 English - Conax). NatGeo Wild switched to Eutelsat 16A satellite at 11509.67MHz, pol.H (DVB-S2 , 11509.67MHz, pol.H SR:30000 FEC:2/3 PID:2822[MPEG-4]/2566 English). Bulsatcom: Nieuwe frequentie voor NatGeo Wild: 12606.00MHz, pol.H (DVB-S2 SR:30000 FEC:2/3 SID:489 PID:2396[MPEG-4]/2397 Bulgarian,2399 English- BulCrypt). NatGeo Wild (United Kingdom) is in DVB-S van start gegaan op 11258.00MHz, pol.H SR:27500 FEC:5/6 SID:2011 PID:1102/1103 Russian,1104 English - Conax. Cyfra + & Cyfrowy Polsat & Orange Polska: NatGeo Wild is nu gecodeerd in Mediaguard 3 & Nagravision 3 & Viaccess 3.0 (12188.00MHz, pol.V SR:27500 FEC:5/6 SID:7307 PID:339/340 Polish). Sky Digital: PID zijn veranderd voor NatGeo Wild op 12304.00MHz, pol.H: PID:520/648 English SID:4642 ( SR:27500 FEC:2/3 - VideoGuard). Nova: NatGeo Wild (United Kingdom) is in DVB-S van start gegaan op 11938.00MHz, pol.H SR:27500 FEC:3/4 SID:7123 PID:514/670 English - Irdeto 2. Max TV: NatGeo Wild is back on 11509.67MHz, pol.H SR:30000 FEC:2/3 SID:31 after a break ( PID:2822[MPEG-4]/2566 English - Nagravision 3). Meo: Nieuwe frequentie voor NatGeo Wild: 12168.00MHz, pol.H (DVB-S2 SR:26970 FEC:5/6 SID:111 PID:4177[MPEG-4]/4178 English- Mediaguard 3). Sky Italia: Nieuwe SR voor NatGeo Wild op 11977.00MHz, pol.H: SR:29900 ( FEC:3/4 SID:8126 PID:2476/2477 Italian,2478 English - VideoGuard). Nova: NatGeo Wild in DVB-S op 12169.00MHz, pol.H SR:27500 FEC:3/4 SID:355 PID:516/690 English (Irdeto 2). Bulsatcom & Polaris Media: NatGeo Wild is nu gecodeerd in BulCrypt & Griffin & Irdeto 2 (12565.00MHz, pol.H SR:30000 FEC:7/8 SID:116 PID:620/621 Bulgarian,623 English). Satellite BG: NatGeo Wild in DVB-S op 11817.00MHz, pol.V SR:27500 FEC:5/6 SID:5403 PID:218/318 English (Conax & Cryptoworks & VideoGuard). Total TV & Total TV Bulgaria: NatGeo Wild in DVB-S op 11014.00MHz, pol.V SR:27500 FEC:3/4 SID:5 PID:218/318 English (Conax & Cryptoworks & VideoGuard). Cosmote: NatGeo Wild (United Kingdom) is in DVB-S2 van start gegaan op 12606.00MHz, pol.H SR:30000 FEC:3/4 SID:1050 PID:450[MPEG-4]/550 Greek - VideoGuard. Sky Digital: Nieuwe frequentie voor NatGeo Wild: 12304.00MHz, pol.H (DVB-S SR:27500 FEC:2/3 SID:4642 PID:519/647 English- VideoGuard). NatGeo Wild (United Kingdom) is in DVB-S2 van start gegaan op 11509.00MHz, pol.H SR:30000 FEC:2/3 SID:31 PID:2822[MPEG-4]/2566 English - Nagravision 3. NatGeo Wild (United Kingdom) is in DVB-S van start gegaan op 12168.00MHz, pol.V SR:27500 FEC:3/4 SID:7312 PID:312/1312 English - FTA. Cyfra + & Cyfrowy Polsat: Nieuwe FEC voor NatGeo Wild op 12188.00MHz, pol.V: FEC:5/6 ( SR:27500 SID:7307 PID:339/340 Polish - Mediaguard 3 & Nagravision 3). Digitürk: NatGeo Wild is nu gecodeerd in Cryptoworks & Irdeto 2 (11617.00MHz, pol.V SR:30000 FEC:3/4 SID:7309 PID:2108/2210 Turkish,2211). Digitürk: NatGeo Wild (United Kingdom) momenteel ongecodeerd (FTA) te ontvangen (11617.00MHz, pol.V SR:30000 FEC:3/4 SID:7309 PID:2108/2210 Turkish,2211). Vivacom: NatGeo Wild (United Kingdom) is in DVB-S2 van start gegaan op 11468.00MHz, pol.V SR:30000 FEC:3/4 SID:122 PID:1222[MPEG-4]/1322 Bulgarian - VideoGuard. Cyfrowy Polsat: NatGeo Wild (United Kingdom) is in DVB-S van start gegaan op 12188.00MHz, pol.V SR:27500 FEC:3/4 SID:7307 PID:339/340 Polish - Nagravision 3. Orbit Showtime Network: Nieuwe frequentie voor NatGeo Wild: 11804.00MHz, pol.H (DVB-S SR:27500 FEC:3/4 SID:1001 PID:512/650 Arabic- Irdeto 2 & Viaccess 4.0). Multichoice Africa: Nieuwe frequentie voor NatGeo Wild: 11785.00MHz, pol.H (DVB-S SR:27500 FEC:3/4 SID:4004 PID:385/387 English- Irdeto 2). Bulsatcom: Nieuwe frequentie voor NatGeo Wild: 12565.00MHz, pol.H (DVB-S SR:30000 FEC:7/8 SID:116 PID:620/621 Bulgarian- BulCrypt & Griffin & Irdeto 2). NatGeo Wild (United Kingdom) is in DVB-S van start gegaan op 11188.00MHz, pol.H SR:5722 FEC:5/6 SID:2 PID:308/256 Italian,33 English - FTA. Bulsatcom: Nieuwe frequentie voor NatGeo Wild: 11012.00MHz, pol.V (DVB-S2 SR:30000 FEC:3/4 SID:138 PID:708/709 English- BulCrypt & Irdeto 2). Bulsatcom: NatGeo Wild in DVB-S op 12565.00MHz, pol.H SR:30000 FEC:7/8 SID:140 PID:716/717 Bulgarian,719 English (BulCrypt & Irdeto 2). Orange Polska: NatGeo Wild (United Kingdom) is in DVB-S2 van start gegaan op 12476.00MHz, pol.H SR:27500 FEC:3/4 SID:10619 PID:4119[MPEG-4]/4219 Polish - Viaccess 3.0. Meo: Nieuwe frequentie voor NatGeo Wild: 11731.00MHz, pol.H (DVB-S2 SR:30000 FEC:3/4 SID:111 PID:4177[MPEG-4]/4178 English- Mediaguard 3). Sky Digital: NatGeo Wild (United Kingdom) is in DVB-S2 van start gegaan op 12246.00MHz, pol.V SR:29500 FEC:3/4 SID:3885 PID:514[MPEG-4] /662 English - VideoGuard. Viasat: NatGeo Wild (United Kingdom) is in DVB-S van start gegaan op 11881.00MHz, pol.H SR:27500 FEC:3/4 SID:5080 PID:5081/5082 English - VideoGuard. T-Home: NatGeo Wild is nu gecodeerd in Conax (10723.00MHz, pol.V SR:30000 FEC:2/3 SID:29 PID:39[MPEG-4]/37 Hungarian). T-Home: NatGeo Wild (United Kingdom) momenteel ongecodeerd (FTA) te ontvangen (10723.00MHz, pol.V SR:30000 FEC:2/3 SID:29 PID:39[MPEG-4]/37 Hungarian). Sky Italia: Nieuwe frequentie voor NatGeo Wild: 11977.00MHz, pol.H (DVB-S SR:27500 FEC:3/4 SID:8126 PID:2476/2477 Italian,2478 English- VideoGuard). Orbit Showtime Network: NatGeo Wild is encrypted again after being temporarily unencrypted on 11862.00MHz, pol.V SR:27500 FEC:3/4 SID:213 PID:213/313 English (Irdeto 2). Viasat Ukraine: NatGeo Wild (United Kingdom) is in DVB-S2 van start gegaan op 12169.00MHz, pol.V SR:27500 FEC:3/4 SID:2740 PID:2741[MPEG-4]/2742 Russian,2743 English - VideoGuard. Digi TV: Nieuwe frequentie voor NatGeo Wild: 11785.00MHz, pol.H (DVB-S SR:28000 FEC:5/6 SID:3260 PID:4009/1893 Hungarian,893 English- Nagravision 2 & Nagravision 3). Canal Digitaal & TV Vlaanderen: NatGeo Wild is nu gecodeerd in Mediaguard 2 (11739.00MHz, pol.V SR:27500 FEC:3/4 SID:6035 PID:517/90 Dutch). Canal Digitaal & TV Vlaanderen: NatGeo Wild (United Kingdom) momenteel ongecodeerd (FTA) te ontvangen (11739.00MHz, pol.V SR:27500 FEC:3/4 SID:6035 PID:517/90 Dutch). NatGeo Wild is testing in DVB-S2 FTA on 12034.00MHz, pol.V SR:27500 FEC:2/3 SID:19 PID:560/561 English,562 Hungarian. Viasat Ukraine: NatGeo Wild (United Kingdom) is in DVB-S2 van start gegaan op 12169.00MHz, pol.V SR:27500 FEC:3/4 SID:2540 PID:2541[MPEG-4]/2542 English - VideoGuard. Digit Alb: NatGeo Wild is nu gecodeerd in Conax (11094.00MHz, pol.V SR:27900 FEC:2/3 SID:1005 PID:2021[MPEG-4]/2022 Italian). Digit Alb: NatGeo Wild is testing in DVB-S FTA on 11094.00MHz, pol.V SR:27900 FEC:2/3 SID:1005 PID:2021[MPEG-4]/2022 Italian. 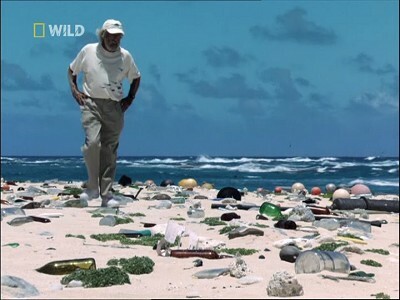 NatGeo Wild (United Kingdom) is in DVB-S2 van start gegaan op 12012.00MHz, pol.H SR:30000 FEC:3/4 SID:111 PID:4177[MPEG-4]/4178 English - Mediaguard 2. Orbit Showtime Network: NatGeo Wild (United Kingdom) is in DVB-S van start gegaan op 11862.00MHz, pol.V SR:27500 FEC:3/4 SID:213 PID:213/313 English - Irdeto 2. DMC: Nieuwe frequentie voor NatGeo Wild: 11063.00MHz, pol.H (DVB-S SR:19280 FEC:3/4 SID:1002 PID:3201/3210 English,3212 Dutch,3219 Polish,3220 Hungarian,3221 Turkish,3226 Russian- Cryptoworks). Canal Digitaal & TV Vlaanderen: NatGeo Wild (United Kingdom) is in DVB-S van start gegaan op 11739.00MHz, pol.V SR:27500 FEC:3/4 SID:6035 PID:517/90 Dutch - Mediaguard 2. DMC: NatGeo Wild is nu gecodeerd in Cryptoworks (11150.00MHz, pol.V SR:19275 FEC:3/4 SID:1002 PID:3201/3210 English,3212 Dutch,3219 Polish,3220 Hungarian,3221 Turkish,3226 Russian). NatGeo Wild (United Kingdom) momenteel ongecodeerd (FTA) te ontvangen (11150.00MHz, pol.V SR:19275 FEC:3/4 SID:1002 PID:3201/3210 English,3212 Dutch,3219 Polish,3220 Hungarian,3221 Turkish,3226 Russian). Sky Italia: NatGeo Wild (United Kingdom) is in DVB-S van start gegaan op 11881.00MHz, pol.V SR:27500 FEC:3/4 SID:3637 PID:2587/2588 Italian,2589 English - VideoGuard. NatGeo Wild is nu gecodeerd in Cryptoworks (11150.00MHz, pol.V SR:19275 FEC:3/4 SID:1002 PID:3201/3210 English,3212 Dutch,3219 Polish,3220 Hungarian,3221 Turkish,3226 Russian). Digi TV: NatGeo Wild (United Kingdom) is in DVB-S van start gegaan op 12563.00MHz, pol.V SR:27500 FEC:3/4 SID:3260 PID:4009/893 English - Nagravision 2. Nieuwe frequentie voor NatGeo Wild: 11150.00MHz, pol.V (DVB-S SR:19275 FEC:3/4 SID:1002 PID:3201/3210 English,3212 Dutch,3219 Polish,3220 Hungarian,3221 Turkish,3226 Russian- Cryptoworks). DMC: NatGeo Wild (United Kingdom) is in DVB-S van start gegaan op 11124.00MHz, pol.H SR:18386 FEC:3/4 SID:20 PID:3201/3210 English,3212 Dutch,3219 Polish,3220 Dutch,3221 Turkish,3226 Russian - Cryptoworks. Sky Digital: NatGeo Wild (United Kingdom) is in DVB-S van start gegaan op 12188.00MHz, pol.H SR:27500 FEC:2/3 SID:5703 PID:513/641 English - VideoGuard. Digitürk: NatGeo Wild (United Kingdom) is in DVB-S van start gegaan op 11617.00MHz, pol.V SR:30000 FEC:3/4 SID:7309 PID:2108/2210 Turkish,2211 - Cryptoworks.